Based on the Longbridge-built 1100/1300 front wheel drive saloons, the Wolseley is the luxury version of the single-carburettor type, but it is manufactured only as a 1300. The handsome Wolseley radiator shape (with traditional illuminated badge at night) sets it apart from other near-relatives. Internal trim is of a very high order, and the hydrolastic all-independent suspension provides a ride in keeping with the model's comfort. Normal transmission is four-speed manual all-synchromesh, but the highly effective AP four-speed torque-converter automatic is an optional extra. This is the brilliant 1300 concept, with the added distinction and luxury associated with the Wolseley tradition. A delight to drive, a joy to be driven in. Its flexible 1275-c.c. engine gives lively performance, and Hydrolastic suspension combined with front-wheel drive gives the smoothest of drives and road-hugging stability. Refined interior styling and deeply upholstered, well-planned seating add total comfort to this very elegant, high class car. This is a big, roomy, comfortable car, conventionally designed to make travel smoother and quieter. 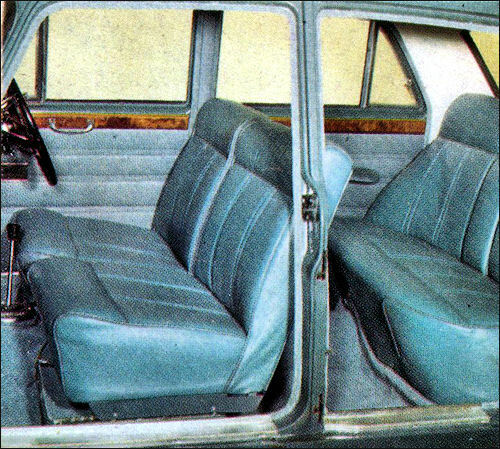 With automatic transmission as an optional extra, the Wolseley 16/60 is powered by the 'B' series 1622-c.c. engine, giving immediate response and satisfying acceleration to top cruising speeds. The roomy interior has many refinements: a beautifully styled walnut veneer fascia, with easy control of all instrumentation, deep pile carpets, and wide comfortable seating. This is family motoring at its best. 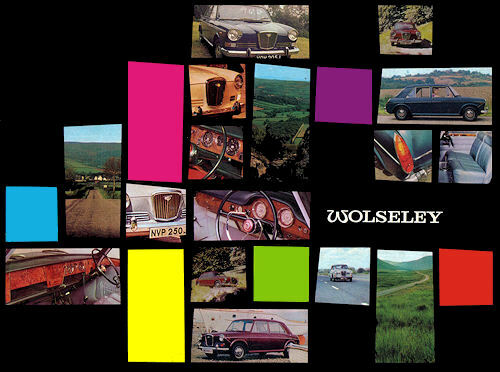 Like its smaller sister, the Wolseley 18/85 is a luxury version of a similar model in the Austin-Morris range. 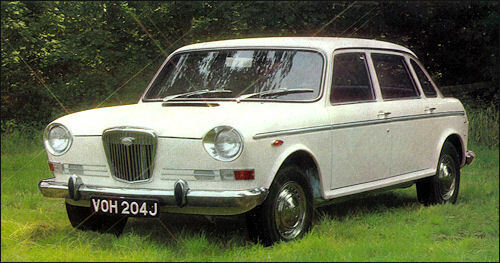 The 18/85 has an identical engine to the Austin-Morris 1800, as well as the celebrated transverse layout, front wheel drive, and hydrolastic suspension. It is exceptionally roomy inside, and the upholstery and trim are to a very high standard. 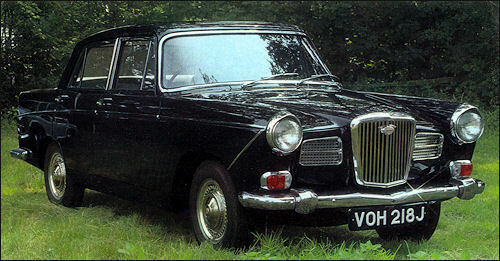 'S' version of the biggest Wolseley has a 97 h.p. twin-carburettor engine similar to the Austin and Morris 1800 'S' series, and similarly it can closely approach 100 m.p.h. Polished wood dash and reclining seats are standard. Largest version of the front-wheel drive, transverse engine concept, the Wolseley 18/85 Mk. II is extremely roomy. Hydrolastic suspension gives wonderful stability, and power-assisted steering makes it very easy to control. Powered by a five-bearing 1798-c.c. engine, its performance is exhilarating. Interior appointment is luxurious and the beautifully upholstered seating is designed to give superlative comfort. This variation of the Wolseley 18/85 has a super-tuned, twin-carburetter engine, giving added power and effortless long distance cruising, safety-matched with larger disc brakes.